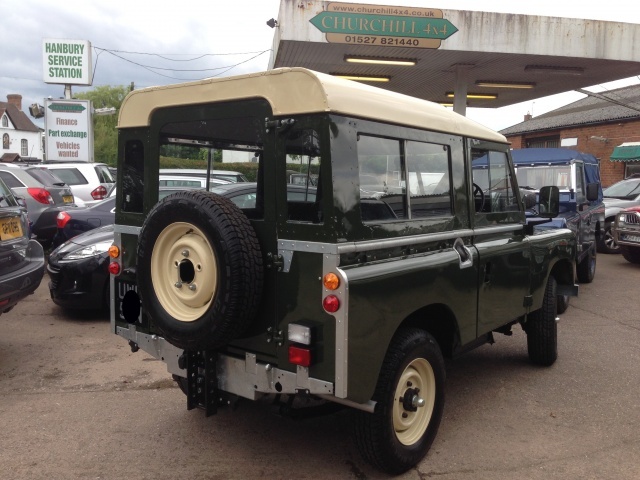 Here is the Land Rover restoration of a Series 2a model that the customer had owned for many years and had enjoyed much fun times with this Land Rover. 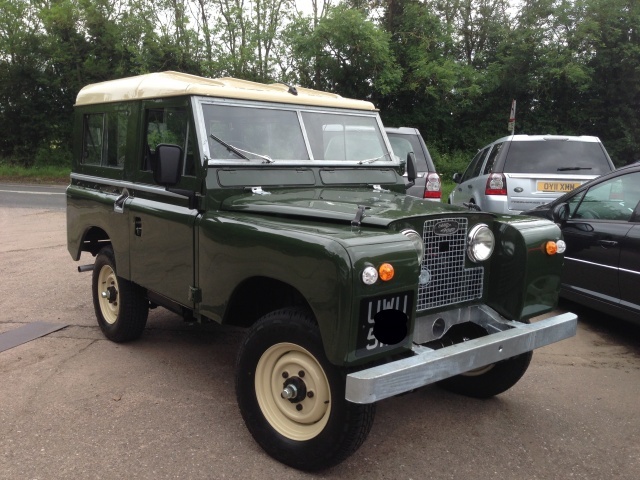 Time had come for a restoration and he asked us to restore it and improve it's usability with some modern subtle conveniences so that he and his family could enjoy it for many years to come. 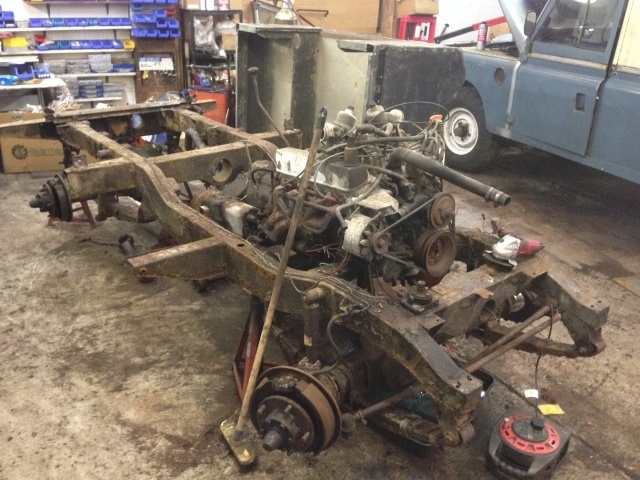 The original chassis was very badly corroded, engine unreliable and the bodywork/interior were also in a poor state. 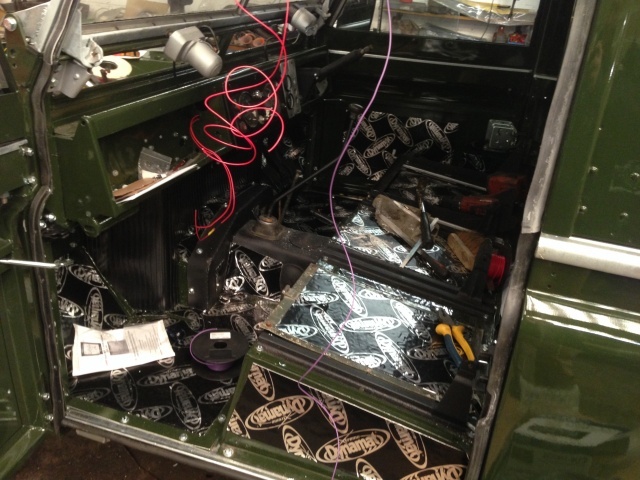 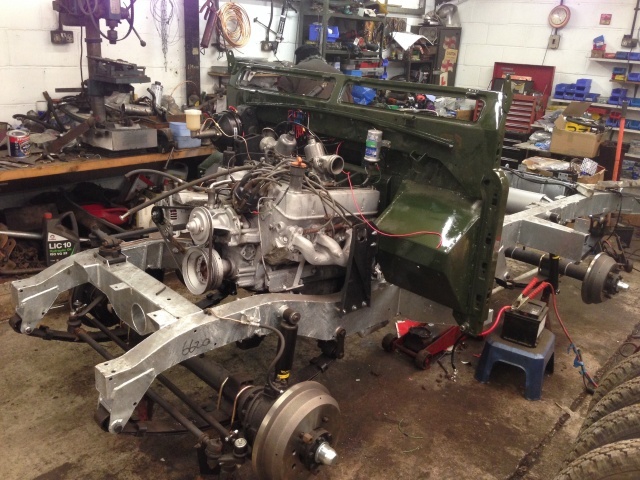 As the backbone to this Land Rover restoration was a new galvanised chassis. 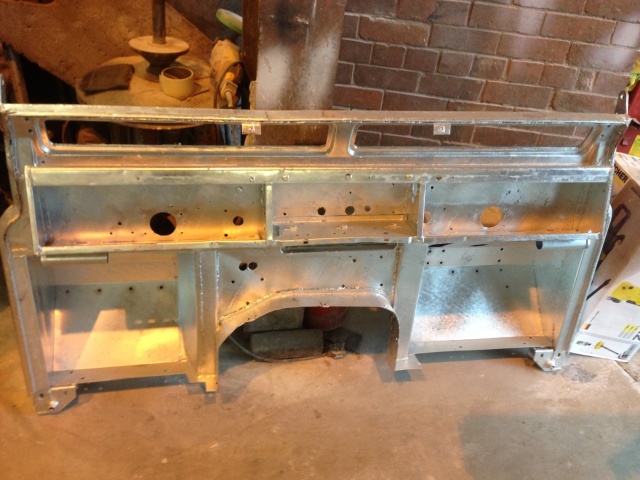 The original Land Rover bulkhead was restored and modified to suit the V8 engine, then galvanised for longevity before being spray painted then fitted. 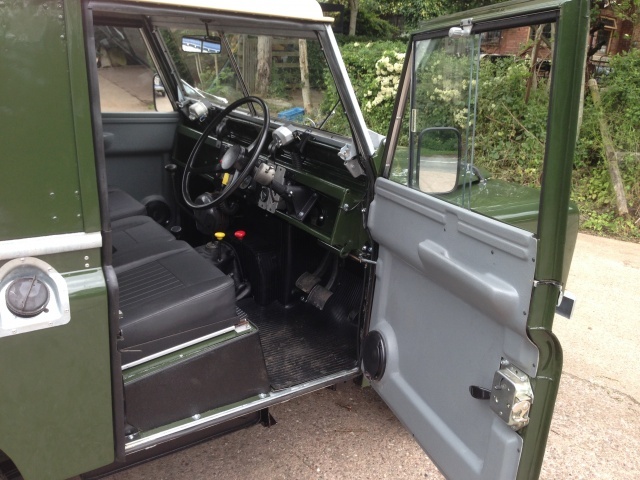 Bodywork received new doors, cappings regalvanised and resprayed throughout. 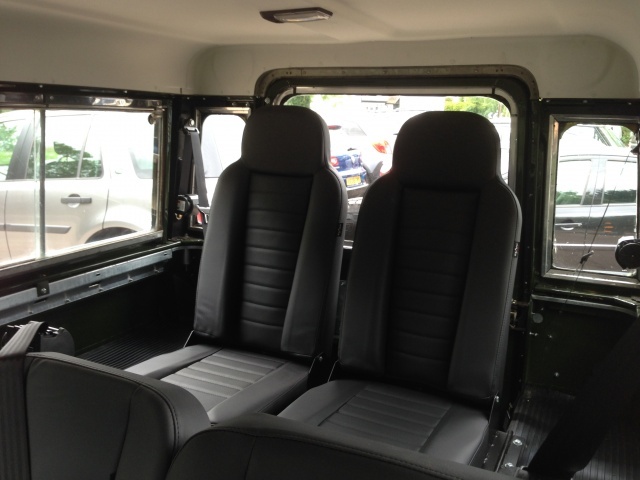 One of the first subtle upgrades being the anti-burst door locks which are superior to the originals. 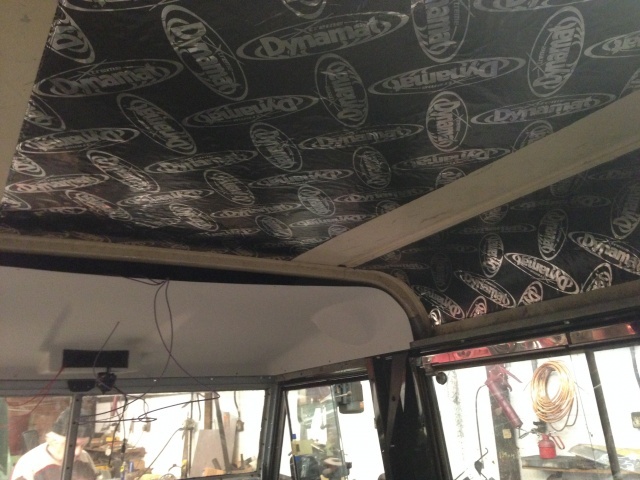 A full soundproofing kit was fitted that covered the interior surfaces of the roof, front and rear floor and doors. 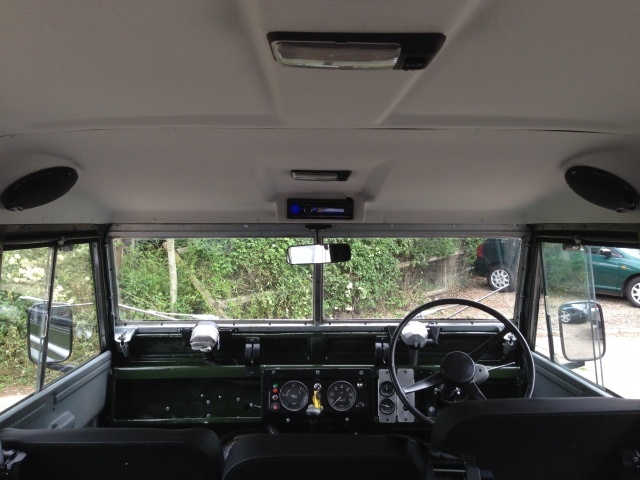 Rubber matting, full length headlining and door trims were also fitted to reduce sound levels and increase practicality. 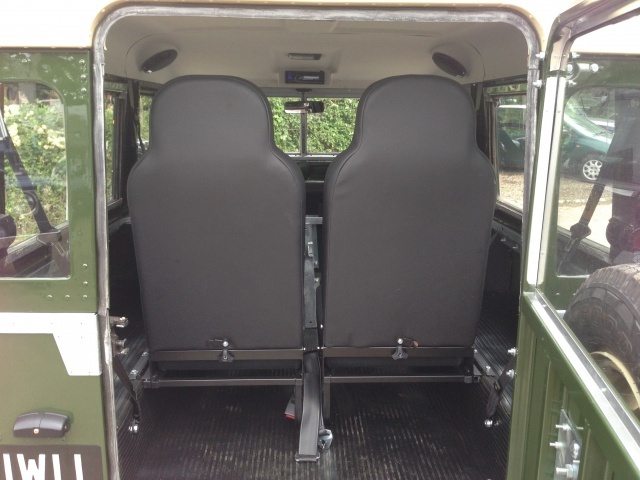 New seats were fitted throughout and the rears upgraded to forward facing/folding seats with 3 point seatbelts. 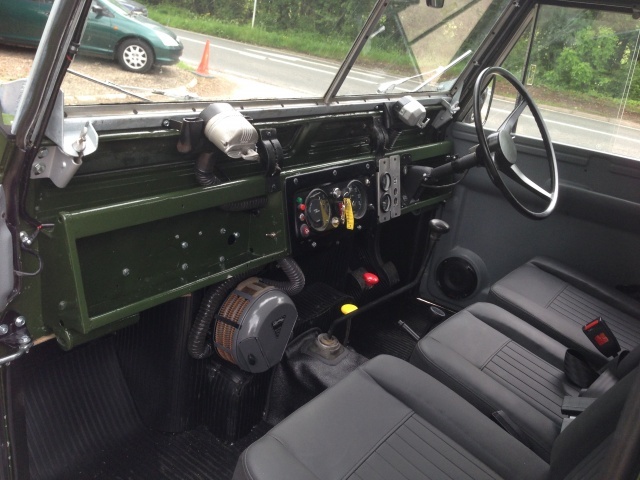 To take advantage of the V8's cruising capabilities we fitted an overdrive so improve motorway ability. 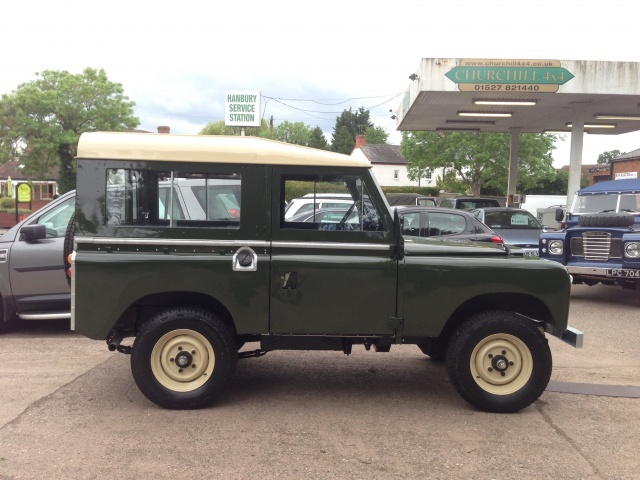 Numerous other items were reconditoned or renewed as necessary so the customer had his dream restored Land Rover with the overall result being a classic looking Land Rover with sympathetic upgrades that make it easier to live with in modern times.